Bit chilly and foggy this morning? Yes indeed. It was minus 3 outside earlier, and not much warmer now by the feel of it. 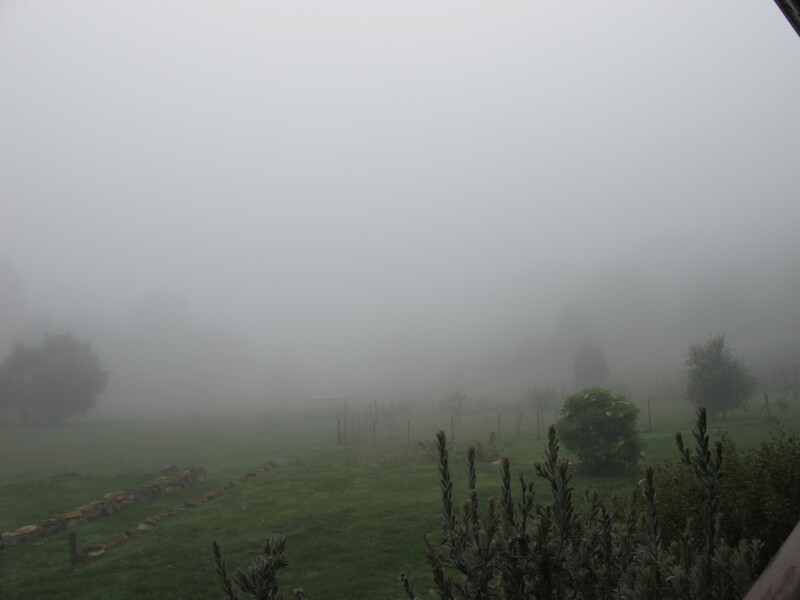 It’s the thickest fog since we’ve been living here. 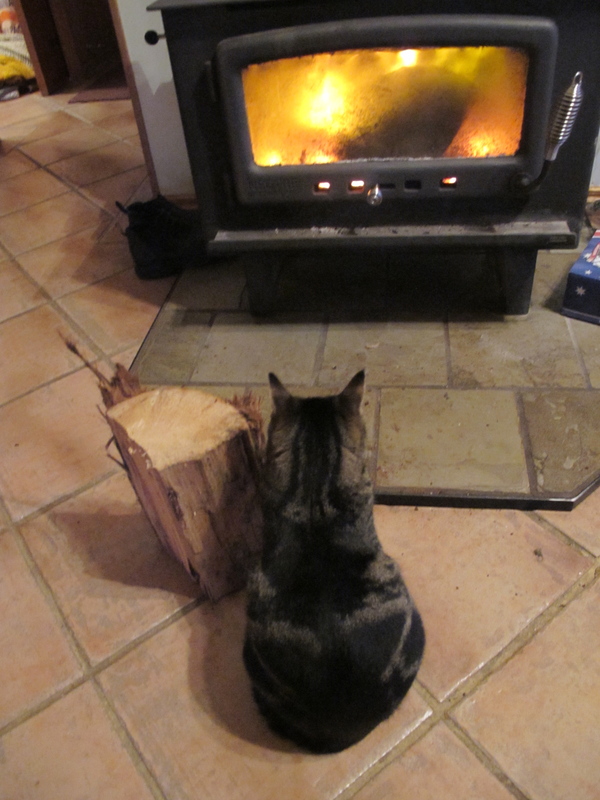 Rosie the middle cat is keeper of the fire – she sits meaningfully in front of it when she considers it needs a boost. Even though it was roaring this morning, she thought it wasn’t quite warm enough. 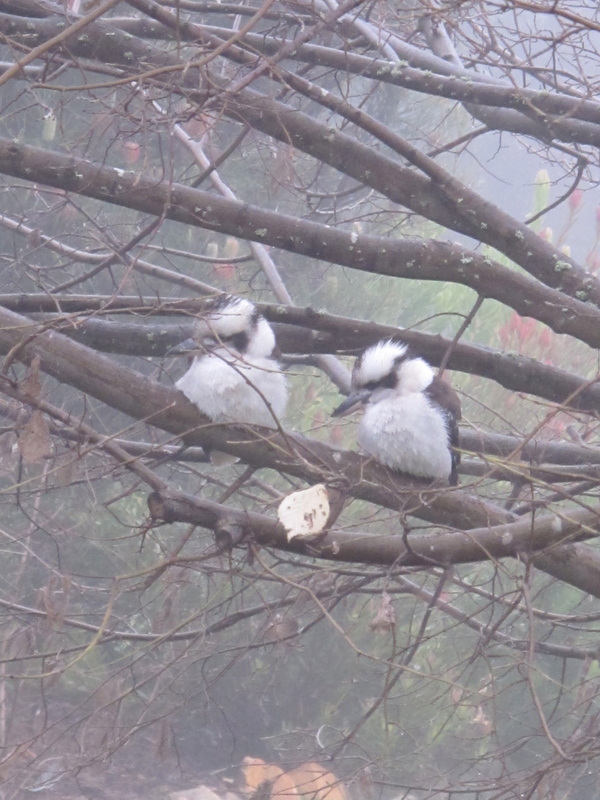 This poor little family of kookaburras in the tree outside the kitchen window are shivering with cold, obviously very miserable. It all looks very pretty from where I am sitting, in front of the wood heater that is, warming my feet. Glad I have the option to work inside today. And then there was frost…..